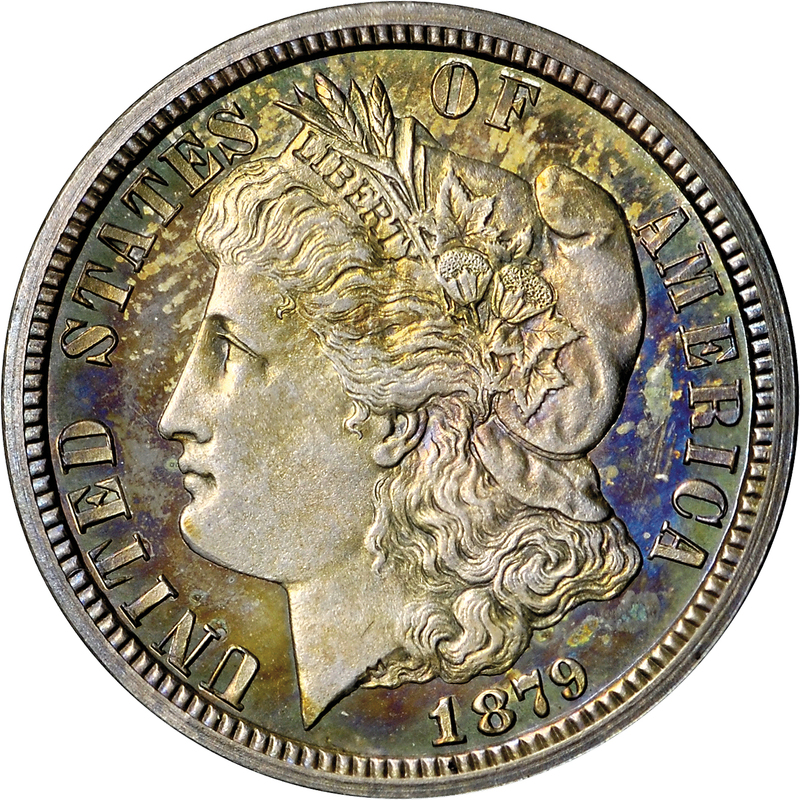 A miniature Morgan head of Liberty appears on the obverse of this delightful pattern issue. About a dozen examples are known. 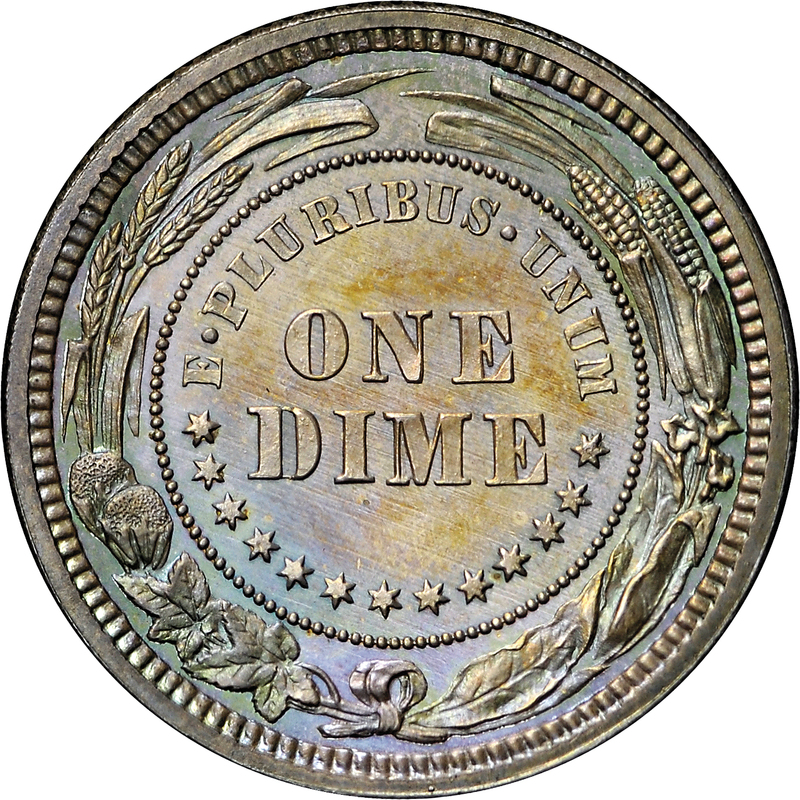 The head of Liberty is virtually identical to that found on the popular Morgan dollar. The model for Liberty was Anna Willess Williams, a young Philadelphia school teacher. Morgan arrived in Philadelphia from England in 1876 at the age of 31, and prepared this Liberty Head design shortly afterward, for its first appearance was on 1877 pattern half dollars. 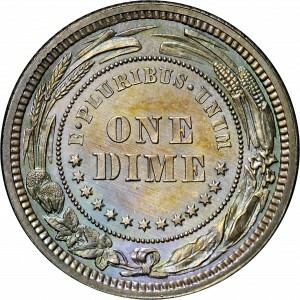 Head similar to that used on certain 1877 pattern half dollars and, later, Morgan dollars, 1878-1921, UNITED STATES OF AMERICA around, date below. Wreath of corn, cotton, and wheat around an inner beaded circle, E PLURIBU UNUM arcs at inner top of beaded circle, ONE DIME on two lines at center of circle, 13 stars curve along bottom of circle. "Was listed as Patt224. Coin card back 99."